In recent years, we’ve seen a number of depressing political shifts in the Euro-Atlantic area — but the rise of feminist foreign policies is not among them. Some believe Sweden’s feminist foreign policy is here to stay even if Wallström and her government are voted out of office later this year. In opening up new political possibilities, Wallström’s policies have often made headlines. 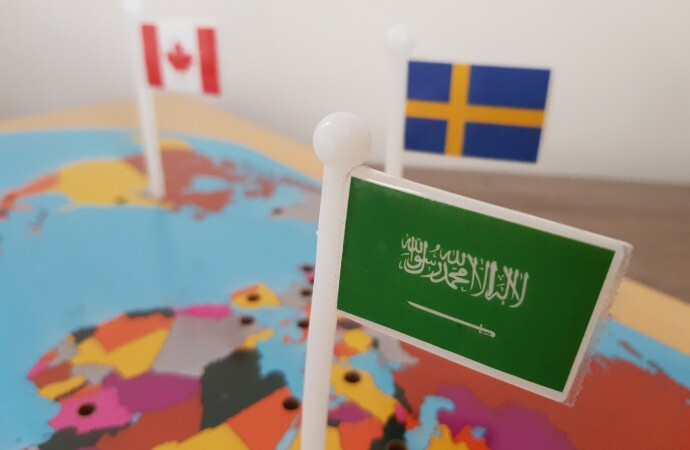 In February 2015, when Wallström stood up in Sweden’s parliament to denounce the Saudi state for its oppression of women, the political and diplomatic world sat up and took notice. Half-excited, half-shocked, Sweden’s media swiftly linked this unprecedented move to the Swedish government’s separate decision not to renew a memorandum on military collaboration and weapons technology exchange with the sheikdom. Then, in June 2015, when a parliamentary committee recommended that Swedish arms exports should be made conditional on “democracy criteria,” Wallström’s speech was interpreted as a call for a “moratorium” on the arms deals with the Saudis. The policy’s critics, and not just those on the left, did not buy it, however. 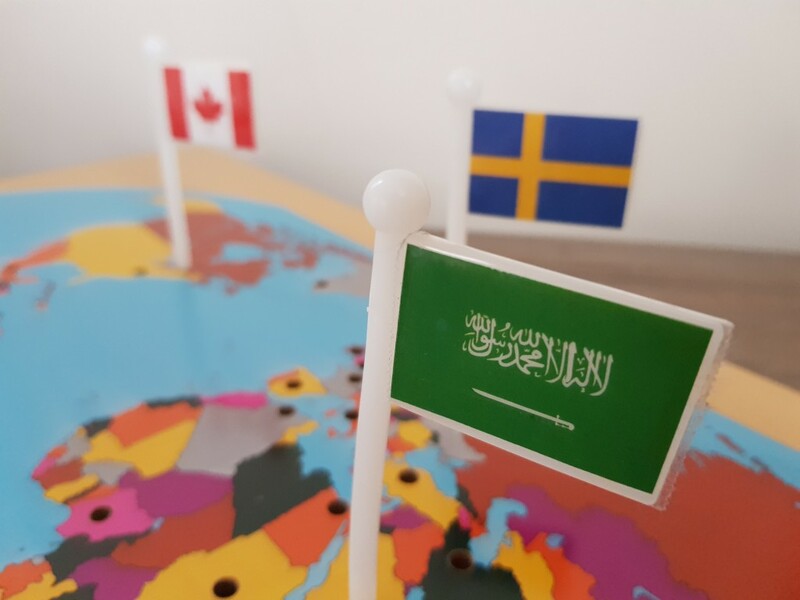 According to a 2017 report released by Concord, a group of 19 Swedish civil society organizations, Sweden never actually gave up on Riyadh. Svenska Freds, a 135-year-old Swedish arms control group, also notes that billions of Swedish arms have gone to Saudi allies in the bloody Yemen war. What’s happening in Sweden is directly relevant to Canada’s own feminist foreign policy and the Liberal government’s upcoming statement on that policy expected to be released this year. For one, Canada’s record of military exports is similar to Sweden’s in several respects, including from the hypocrisy perspective. Ottawa’s recent arms deal scandals with Saudi Arabia and the Philippines underscore this point rather vividly. However, the Swedish situation contains even deeper predicaments: Sell weapons to the likes of the Saudis, and you fail as a feminist. But stop those sales and you’ll be a hypocrite again, this time for your status quo dealings with, for example, Iran. The latter is precisely what happened in February 2017, when Sweden’s minister of trade and her female colleagues were pictured wearing the hijab during a state visit to Tehran (days after Sweden’s deputy minister and her female colleagues staged a photo-op maligning US president Donald Trump’s treatment of women). How can arms sales and feminism co-exist? Can arms exports, without which no contemporary arms industry can function, co-exist with a feminist foreign policy? Government officials in Stockholm and Ottawa would answer in the affirmative, pointing to the rise of the “responsible” export regime centred on the United Nations Arms Trade Treaty. The UN agreement’s main purpose is to diminish the risk of exported weapons being used for human rights violations, including all types of gender-based violence. In addition, Swedish parliamentarians last year passed a bill that further tightens Sweden’s export regulations, while their Canadian counterparts last month made amendments to Bill C-47, which is about Canada’s long overdue accession to the UN treaty. Yet these and other moves towards more “responsible” arms trade have elicited mixed feelings among human rights and arms control organizations. While they can and do make it more difficult for governments to strike deals with countries like Saudi Arabia, the new regime is decidedly not being designed to abolish weapon flows as such. Worse, some think the UN Arms Trade Treaty “is full of holes, watered down after years of negotiations into a tool that will achieve little good, maybe even more bad” — more wars and more fighting, for example. Responsible arms sales an oxymoron? Canada’s situation could be worse still considering that Bill C-47, in its current form, is not actually binding Ottawa to a requirement of tracking and reporting exports to the United States, which buys the majority of Canada’s arms and regularly transfers Canadian-made weapons to other countries. Feminist activists and scholars have been even less sanguine. Some contend that responsible arms trade is an oxymoron while also adding that feminist foreign policy is the latest tool for co-opting female emancipation in the service of imperial and white masculinity, also known as the rules-based international order. Others accept the reforms, but only as the first step in a longer-term march towards a world without arms and without gender subordination. Others still, albeit a small minority, might suggest that arms trade could in fact advance feminist foreign policy goals in some cases — the next time female Kurdish fighters in Syria appeal for feminist solidarity, why not send them some weapons? But almost all feminists will agree that most forms of militarism and militarization are fundamentally anti-feminist. That arms trade and feminist foreign policy are inherently at odds with each other is clear. Feminist governments have the power to either amplify or mitigate those tensions. One way for the Trudeau government to do the latter is to go beyond Bill C-47 and come up with more ways to make Canada’s arms export regime ever more responsible. This article was first published on The Conversation-Canada on 8 April 2018.